Buddy Miles Birthday Tribute! Watch NOW! Buddy Miles was an amazing musician with many historic music experiences that he joyfully shared. The collaboration with Buddy Miles on The Bluesberries album with Double Trouble in 2002 produced many timeless tracks but on this track, Rock and Roll the Blues, Buddy tells a biographical story the way only the Buddy Miles could do it. Play it LOUD while you enjoy watching rock history and smile! HAPPY BIRTHDAY, BUDDY! Thank you for sharing your gift! The Bluesberries Album was Rocky's introduction to Jim Gaines, the Grammy Award winning producer for Santana, Steve Miller, Stevie Ray Vaughan and many others. After this meeting, Rocky and Jim became life long friends and Jim produced Rocky's solo albums. 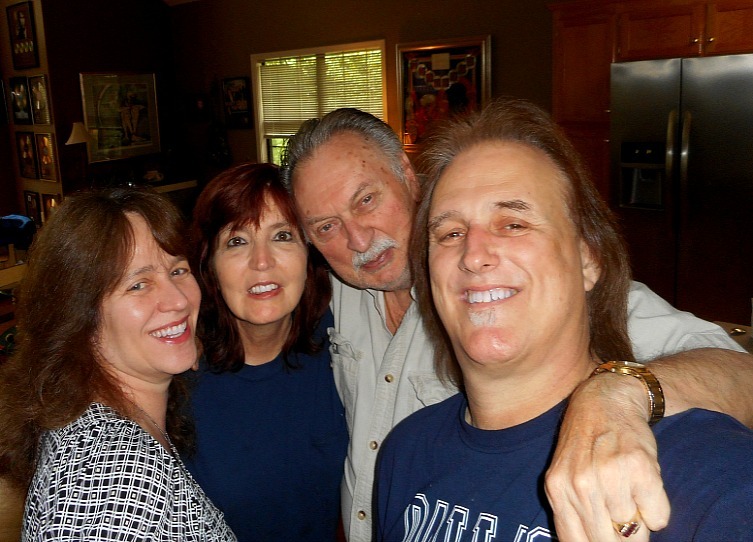 At home with Jim Gaines and his wife, Sandy Carroll. Music Monday with My Black Beauty! Grammy Award winning producer, Jim Gaines, and I recorded several albums together before joining the legendary John Mayall. Tearin' Me Up is one of my favorite tracks from that collaboration and is available now on The Essential Rocky Athas - Volume I. Please enjoy & "share" with your friends! For all you guitar geeks, on this track I played my 1968 Gibson Custom Black Beauty and 1957 Les Paul Junior. All guitars played on this album are listed on the exclusive alternate album art card included FREE with the purchase of the album HERE. Why you do me like you do? When I'd do anything for you? It just don't seem enough. Think I'm headed for a fall. Like an old paper cup. I don't see how this can last. And I feel I'm fading fast. And it's eating me up.